A minimalist life is one that is carefully considered. It is full of beauty, serenity and purpose. It’s hard to imagine a cup sharing these qualities, but here we are. The Anytime Christina is simplicity at its best. Let its purity reflect your lifestyle. Size: L: 8.0 cm - H: 5.5 cm - Vol: 0.14 L / 4.50 fl. oz. 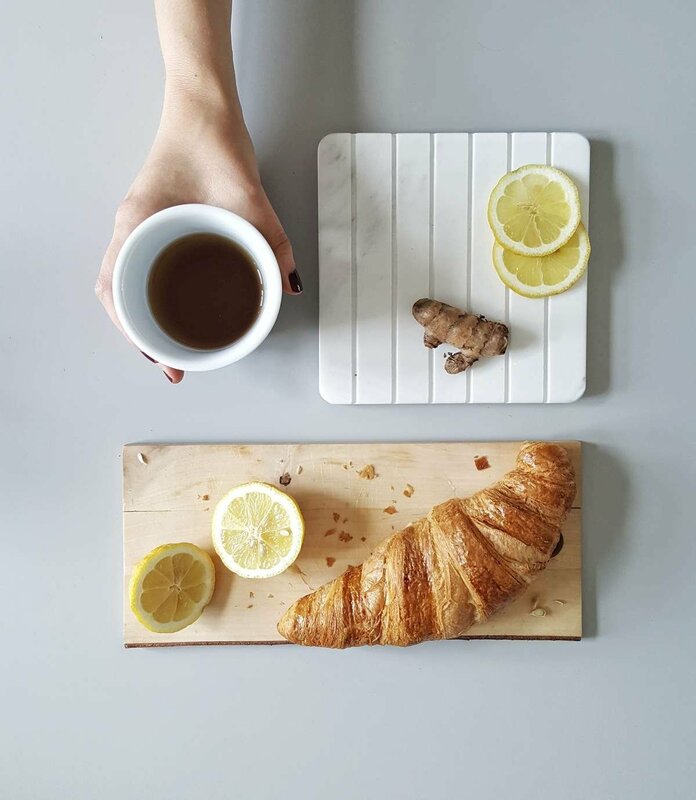 Let your teaware mimic your lifestyle with this thoughtfully considered minimalist cup. For you, keeping minimalism and serenity in your home is the idyllic way to live. Everything in your home has a place. Everything has a purpose. This is why the Anytime Christina cup is your ideal companion. The minimalist design speaks to your sensibilities of how your home life should be. Clean simplicity is what the Anytime Christina is all about. This cup is the serene easy vessel that’s been missing from your life. This cup is perfect for busy lifestyles. The wide brim allows your tea or coffee to cool faster so you can enjoy it briskly when you need or leisurely when you can. With the look of a disposable paper cup, this playful and durable design brings joy to your day. Made of tactile porcelain, the Anytime Christina is the beautifully pure and functional cup to let into your home. 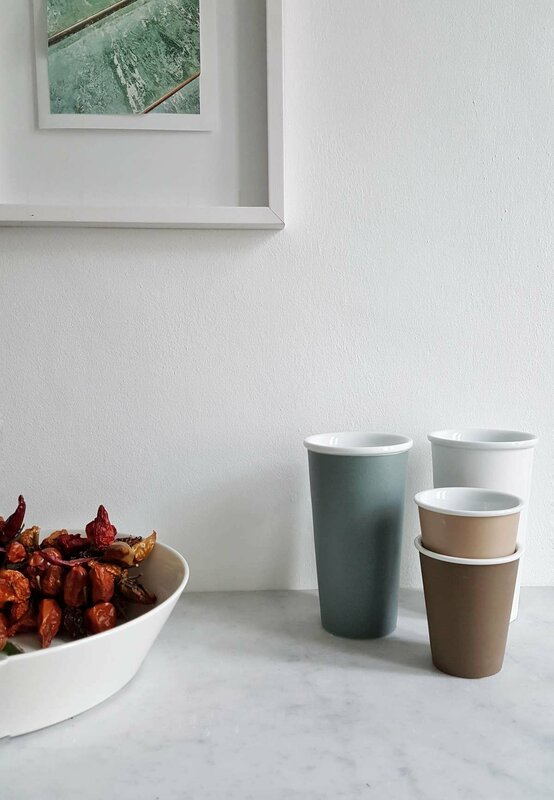 The Anytime Laura Teacup has been finished with a textured eco coloured matte glaze. This gives it a modern look, feels wonderful in your hands, and makes a real statement. The lip of the cup and inside are finished in a smooth glossy texture which provides a textural contrast while keeping the inside easy to clean. The Anytime Anna fits 0.08L of liquid. This is a very small cup, ideal for espresso, or very intense teas. Shaping this cup like a disposable cup is a visual pun that invites people to meditate on the environmental impact of their choices. Aside from that, it’s also just super chic.